Remove tube bracket by unscrewing nuts from bilge (front storage area). 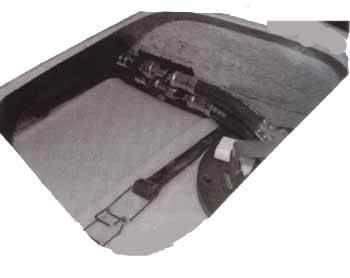 From glove box opening, remove fuel pump retaining nuts. Disconnect electrical connector. 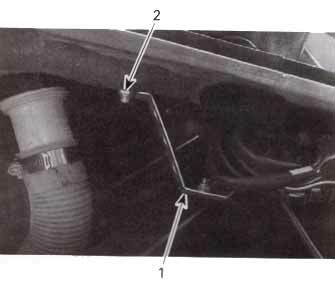 Disconnect vent tube from fuel pump. 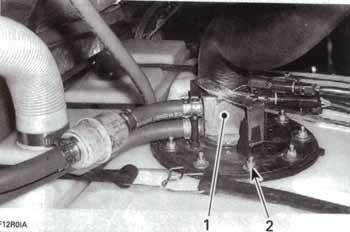 Disconnect inlet and outlet hoses from fuel pump using tool (P/N 529 035 714). For installation, reverse the removal process but pay attention to the following. 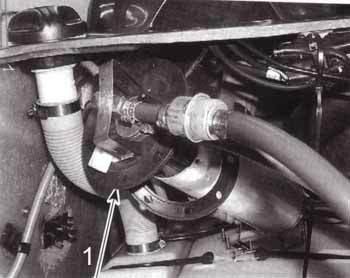 Install fuel pump on fuel tank and torque nuts to 2.5N«m (1.8lbf«in). 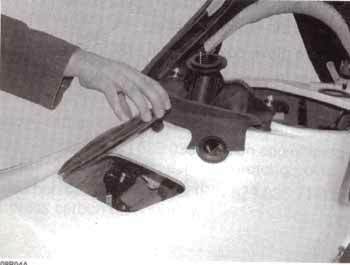 Ensure to align the arrow with the dot on the gasket towards the LH side of fuel tank. 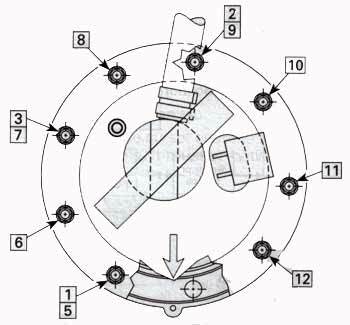 Compress springs of pump module to reduce its height to allow pulling pump out. 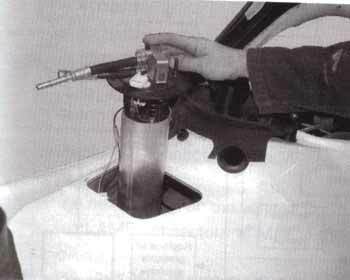 Pull fuel pump toward front of vehicle. Wipe off any fuel spillage in the bilge.